St Joseph and St Mary Parishes in Freeport, IL | What's new for St Joseph and St Mary Parishes! What does Easter mean to you? For Christians, it means attending Mass and gathering with family for a special meal. As we contemplate the Passion of Christ and all the pain and sufferings He experienced, He shows us His Resurrection, a New Life with the Father. His Resurrection was a witness to all who might not have believed He was the Son of God, as He proclaimed. Easter is a reminder, that through all of our pain and sufferings, there is new life in Christ. After every experience we encounter in life, there is always Resurrection. And in Christ’s Resurrection, He showers us with His Love and Mercy. How loving is our Lord. He, who was abandoned by those closest to Him, humiliated, stripped down to nothing as He was beaten and bruised beyond our comprehension, and ultimately crucified. And yet, He returns to us in all His glory, offering mercy and forgiveness for the sins we have committed. That is Divine Mercy! 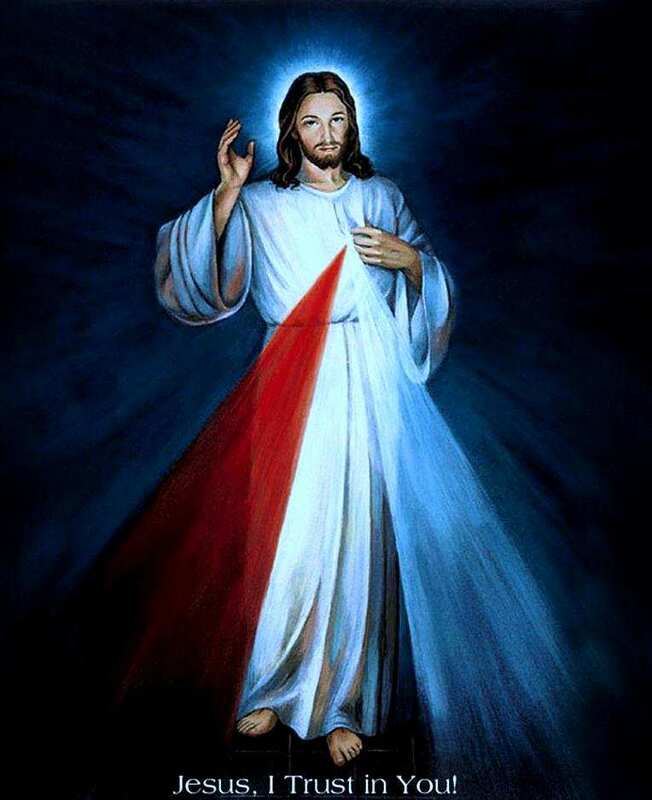 It is on this day, the Feast of Divine Mercy, that the Lord pours upon us His Unfathomable Mercy by washing away all of our sins completely, giving us a new beginning. Through this act of mercy, He also asks us to be merciful and forgiving to others, just as He has been to us. As He has loved us, we are to love our neighbors. Divine Mercy Sunday is a continuation of Easter Sunday. It is putting those Baptismal vows into action by deepening our love for God and our neighbor through mercy and forgiveness. The Heart of Jesus is always awaiting you with open arms. Join us on Divine Mercy Sunday, April 28, at the 3:00pm Mass, as we truly experience mercy and forgiveness in ways only possible through God. The doors will open at 1:00 for Adoration and Reconciliation and the choir will sing the Divine Mercy Chaplet at 2:25pm. Please be sure to go to Reconciliation before Divine Mercy Sunday. Categories: Announcements, Catholic Church, Catholic Life, church teaching, community, evangelization, events, Fe, Reflections, sacraments | Tags: St Joseph Church freeport | Permalink. Categories: Bulletin Articles, community, Fe, From the Pastor | Permalink. Categories: Audio Only, evangelization, From the Pastor, Homilies | Permalink. The Divine Mercy Novena begins on Good Friday, April 19. Pamphlets can be found in both churches. Join us on Divine Mercy Sunday, April 28, at the 3:00pm Mass in St Joseph Church. There will be Adoration and Reconciliation from 1:00-3:00pm. Please be sure to go to Confession before Divine Mercy Sunday.